Chemistry is the study of the structure and properties of matter, including the energy changes that accompany chemical reactions. The understanding gained from these studies is applied in the prediction of the behaviour of matter and in the interpretation of a wide variety of phenomena. 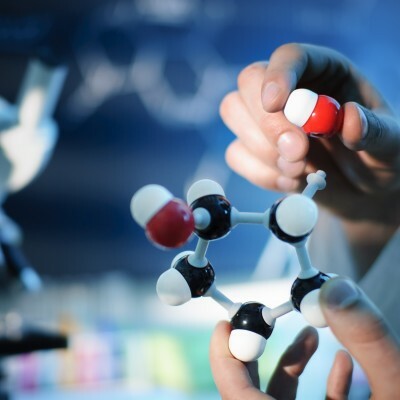 Chemistry is linked closely with a number of other subjects, ranging from astrophysics and earth science to the biological and medical sciences, which involve matter at various levels of complexity. The specialised honours stream in Pharmaceutical and Biological Chemistry and the degree in Biochemistry reflect contemporary trends in the chemical sciences. These two areas are complemented by strong focuses on materials chemistry, analytical chemistry, and atmospheric chemistry – all either industrially or environmentally important areas. The Department of Chemistry offers undergraduate courses in all the major sub-disciplines of the subject, including physical, theoretical, analytical, inorganic, organic and biological chemistry. Specialized programs in Chemistry include a required core of courses to ensure that the student acquires a broad knowledge of the subject, but also provide opportunities for the student to concentrate on areas of particular interest.